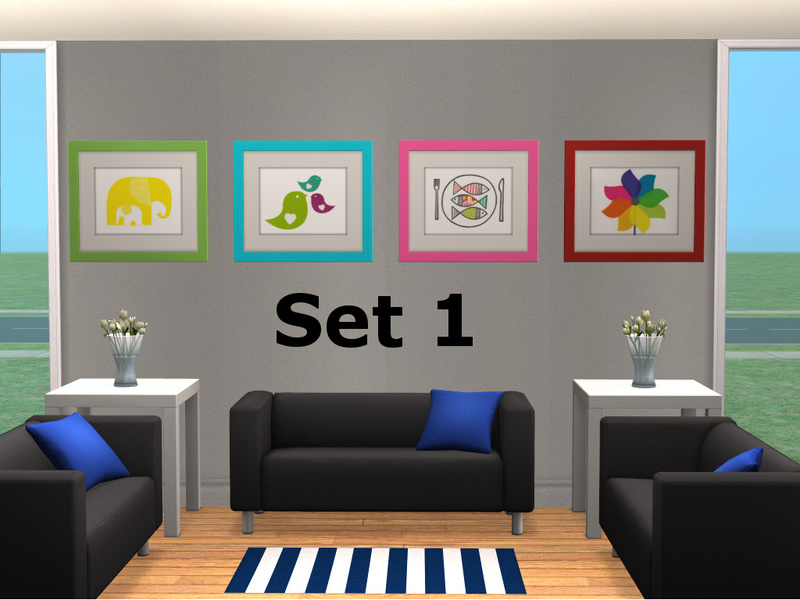 The LACK recolours couldn't really go without their own set of IKEA artwork to go with it! 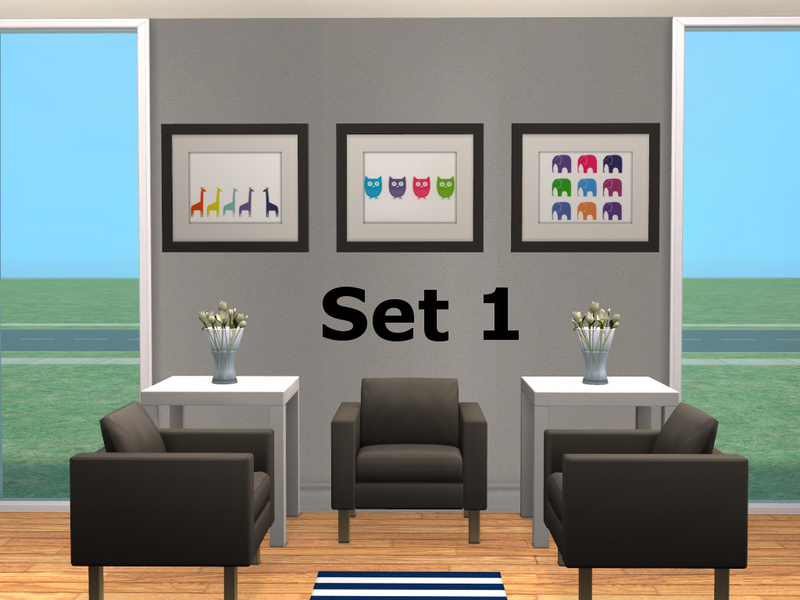 I have searched the website, taken my own IKEA-pictures from the wall and put it through the scanner and have put together two sets for your Simmies to reproduce my RL-hallway. And all of this has made me want to go to IKEA to buy MOAR! The first set contains seven paintings with a white passepartout. I have included a little easteregg in the first set as well. It's just a little surprise I thought was fun because I had SimPE and photoshop running anyways. If you don't want it in your game, simply remove the .package-file labelled 'easteregg' when extracting the .zip-folder to your downloadsfolder. The second set contains five paintings with a black passepartout. I have used Plasticbox's template as a basis to make my own. All artwork belongs to IKEA. They look great! I especially like the animal prints - those little giraffes are so cute! Thank you for sharing. VERY nice. Good job, so what is next?